DAVID LE/Staff photo. 6/3/15. 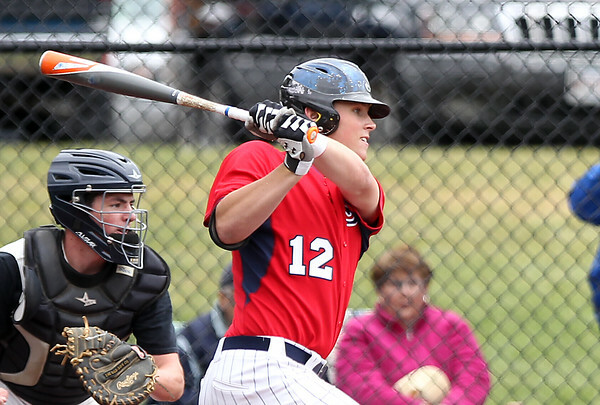 St. John's Prep senior Teddy McNamara follows the flight of his line drive RBI double into the gap, that scored classmate Keith Leavitt, who was on the move on a hit-and-run and scored from first base during the 4th inning of play. The one run would be all the Prep would need as ace Justin Foley shut down defending Super 8 Champions Newton North with a no-hitter.